Lisa: Tell Me About Your Organization, Save the Elephants (STE). Iain: Save the Elephants is based in Kenya. Frank Pope is my Chief Operating Officer and we have a highly motivated trained staff in Samburu working to secure a future for elephants. In the field we have excellent local people who have now become some of the leading experts on elephants in Africa. We have links to world class universities who come and work with our local teams. We're innovating, especially in tracking elephants. This also helps with security by allowing wardens to organize patrolling around where the elephants are going. We give a sense of ownership to the local stakeholders so they can look at what their elephants are doing in their area, and then they can plan their protection measures fully. Lisa: Please elaborate about China and other Asian markets that seem to have an insatiable demand for ivory. Iain: Demand for ivory is driving the illegal killing of elephants in Africa on a massive scale. The problem is so large it is too great for any one NGO, but we have joined in a grand strategy with many others to stop the killing, stop the trafficking and stop the demand for ivory. This all crystallized in a series of meetings held last year in New York with the Clinton Global Initiative (CGI), attended by a host of top level NGOs, including Save the Elephants. If we don't stop the demand, no amount of anti-poaching work, or anti-trafficking plans will stop the slaughter. We have to share aware-ness with the principal consumers of ivory, which means reaching out to China to show the consequences of buying ivory, and to tackle the criminal networks with as much vigor as they put into evading the law. Our campaigns with the Chinese people seem to be getting through. We've been working with Wild- Aid, who are brilliant at bringing celebrities to the front to plead the cause. As a result, awareness has increased enormously. From China we've had the great (former NBA basketball star) Yao Ming come to Samburu and to our research center. It brought him face to face with wild African elephants living their lives and incredibly easy to approach. He was surrounded by elephants. He was completely blown away by that experience. On the final day we brought him face to face with freshly poached elephants, animals that had strayed out of the park and into the gun sights of poachers. He was horrified and moved by this spectacle and wrote eloquently on his blog. We did the same exercise with the beautiful (Chinese) actress Li Bingbing who came to Kenya as goodwill ambassador to the United Nations environment program. We hosted her up at Samburu. She was even more emotionally moved and expressive of what she felt. So both of these two great stars went back to China and made their message clear. The message reached millions of Chinese instantly. I think the Chinese government is watching to see what public opinion feels, and all this activity has helped. Yao Ming, went a step further and presented a petition to the Chinese People's Consultative Assembly. He brought with him many top businessmen from Chinese corporations and they all went to the government and said, 'we're asking you now to close down the domestic ivory trade in China'. China observes the international ban on ivory and has tough laws against wildlife trafficking, but there are loopholes, and the strict licensing system for legal ivory is widely evaded. An exception to the international ban was made when China was allowed to buy some ivory a few years ago. This encouraged a domestic ivory commerce to flourish, which was soon accompanied by a major illegal trade that used the legal trade as a cover. This illegal market in China is very severe. However, awareness that elephants have to die for ivory to be used is rapidly spreading in China. Nothing short of a total ban on all domestic ivory commerce in China will suffice to curb the disastrous effects on elephants. In the last year both America and China have stepped up to the mark, by a public crushing of illegal ivory, first in Denver, followed a month or so later by the Chinese doing the same. Lisa: What are the key markets and countries that still need to institute domestic bans? Iain: The big prize is China and Thailand and some of the other booming East Asia economies. My own belief is that people need to be persuaded not by rhetoric, which may be inaccurate, but by sharing an awareness, which is based on some kind of scientifically realistic information. The elephant situation is bad as it stands, and we need to convince people of this. There are some exceptions but the overall picture for Africa is bad. Even today as I give this interview we heard terrible news that one of our iconic bull elephants called Mountain Bull has been killed. Although NGOs and the Kenya Wildlife Service have worked hard to guarantee his safety, the poachers got through to him. So we haven't won the battle even in a country like Kenya. Lisa: Can money buy conservation? Iain: Money is essential to make conservation happen. It's not enough just to have money; you've got to have really worthwhile programs. 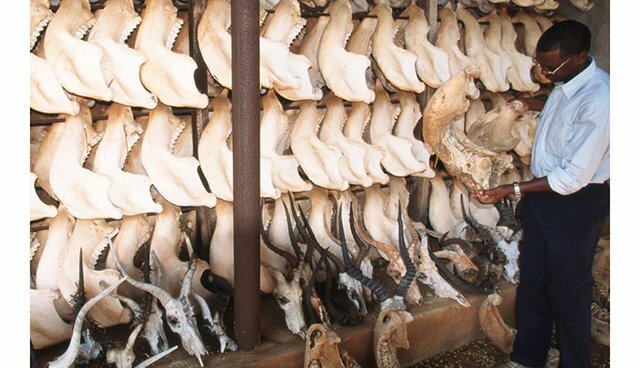 These programs have to tackle strategic poaching issues. They also have to tackle the trafficking. Where courts are not working they have to be fixed. When the poachers and traffickers get brought before the courts, they often bribe their way out, or receive ludicrously low sentences. There is a good chance to change this through increased public awareness spread by NGOs, us included, and then funding support. At the moment we are sponsoring a small NGO called WildlifeDirect. They have taken a central lead in tackling the way the court views wildlife crime and justice. A huge increase in perception has happened in the last year and a half as a result of the NGO movement in Kenya lobbying to bring this issue to the forefront. Now the courts have woken up and the chief justice is fully aware of the need for reform. NGO's have to go to the next stage of trying to help monitor how the courts work on wildlife crime and to make the whole process more transparent. Every wildlife case that comes before the courts should be reported and made public as to what the charge was, what sentence was passed, and how justice gets administered. There have been many scandals with sentences that are far too low. Now there is a definite potential to change with sentences that are more realistic; that would be a deterrent. On the other side, we need to reduce the incentive, reduce the price of ivory and reduce the price of rhino horn. That can only be done I think by sharing awareness in consumer markets to get them to change. Lisa: What about the widespread corruption in African governments? There are reports that even some wildlife officials are involved in poaching. Iain: There is corruption. It's got to be tackled in the same way, on a case by case basis. It has to be exposed. You have to support the people who are the good guys and frustrate the people who are the bad guys. It's not a case where there's a single magic bullet. Countries like Kenya have a very dynamic and fast growing society, where there's a huge hunger for education. Nation building can be done step by step. I've seen a huge amount of progress over the last 50 years. There are lots of very dynamic dedicated young people that can be awakened to the value of the conservation cause. Conservation is now seen as an issue for the young, not just a concern for foreigners. These young activists, through education and direct participation can become part of the worldwide movement to secure a future for nature, including elephants.